MB&G provides expert timberland appraisal services, ranging from large investment-grade properties, to smaller family-owned tracts. 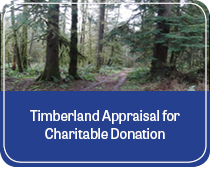 We have long offered forestry valuation services as one of our core competencies, and our forestry expertise provides a strong grounding for timberland valuation work. 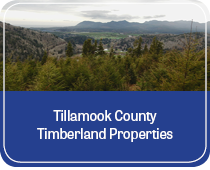 Over time, our services have evolved to meet the increasingly complex needs of today’s timberland investor. In the past five years, we have appraised over 10.8 million acres of timberland worth in excess of $26 billion. Our client list includes corporations, investment management organizations, real estate investment trusts, institutional investors, lending institutions, government agencies, estates, trusts, families, and private individuals. 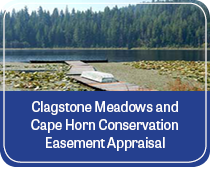 Our appraisal team has recently expanded and now accepts valuation assignments of agricultural and recreational properties, as well as land with speculative development potential. Our appraisers strive to fully understand the property through owner interviews and property inspections, market investigation, and highest and best use analysis. We do not use “form” appraisal reports; rather, the scope of each appraisal assignment is defined to the meet the specific needs of the client. MB&G appraisers follow the high standards of the Uniform Standards of Professional Appraisal Practice (USPAP) and offer additional services including highest and best use analysis; conservation easement appraisals; expert witness and litigation support for timberland issues; annual valuations for trust, estates, and profit-sharing; 631(a) and 631(b) calculations; and periodic “valuations for financial reporting” to determine forestry investment returns.